After Bengaluru, Delhi-NCR, Chennai, Mumbai, Pune and Madhya Pradesh, Xiaomi is all set to open a new Mi Home Store in Kolkata in South City Mall tomorrow, January 26th. 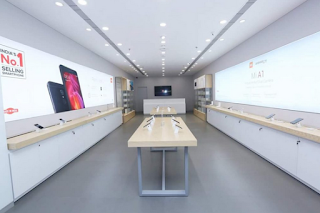 This will the company’s twentieth Mi Home Store in the country, after five stores in Bengaluru, two stores in Chennai, Pune, New Delhi, Mumbai, and one in Hyderabad, Gurugram, Noida, Pune, Bhopal and Thane. It recently started taking pre-bookings for smartphones at Rs.500 and it is offering Mi Earphone Basic Matte worth Rs.599 with every pre-booking that can be collected along with the smartphone at Mi Home. Xiaomi already said that it expects to open 100 Mi Homes across India in the next two years.